Spaghetti and meatballs is a classic comfort food dish and we have made it a little bit lighter and lower in carbs by pairing it with courgetti. 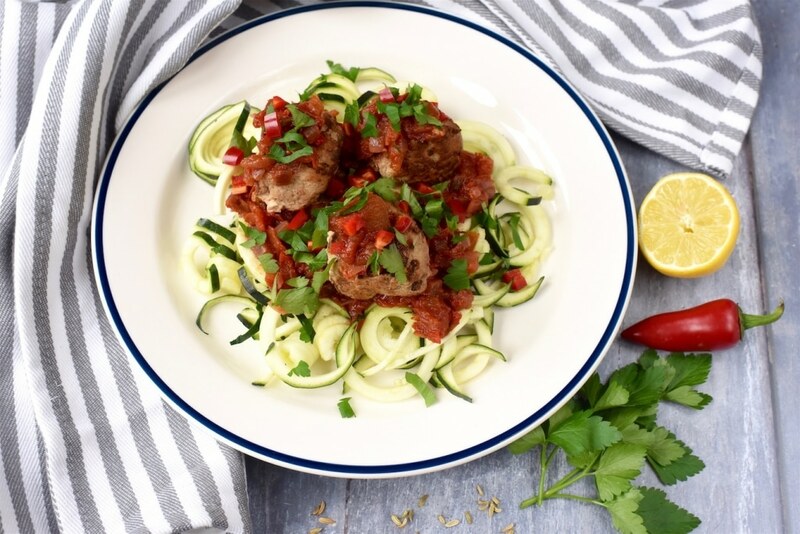 These Pork and Fennel Meatballs with Courgetti are a little bit different from the usually spaghetti and meatballs, but they are sure to be a hit with the whole family. My Nan makes the BEST meatballs. Hands down. No-one is going to take that title away from her. But, I don’t even want to think about the nutritional value of them, because there is a whole lot of fat that goes in to them. Whilst that is fine once in a while, nothing is off limits, when a craving hits for this comforting dish we are looking for something a little bit lighter. Adding fennel to these meatballs adds loads of extra flavour, without all the extra calories. This whole meal is just 5 Weight Watchers SmartPoints. Do you want to be kept up to date on delicious and healthy recipes from Hungry Healthy Happy? Please subscribe to the blog mailing list (it takes 30 seconds). You will get sent the new recipes straight to your inbox. Your email address won’t be passed on to anyone and you will never be spammed. Click here to sign up. Fennel is one of those ingredients that we were never really sure if we liked, but it turns out we just hadn’t found a recipe that we liked it in yet. The aniseed flavour is subtle in these meatballs, but really gives it something extra that you don’t usually find in meatballs. Fennel is part of the carrot family, but you wouldn’t know that to taste it. We wouldn’t have thought to put fennel in meatballs, as we are usually pretty boring (or traditional) with our meatball recipes, which is why I love recipe and fresh product delivery services like WW Smart Kitchen. Do you find yourself lacking inspiration when it comes to fresh and healthy meals? Well how about you get everything you need delivered right to your door, with the recipe ideas and easy instructions on how to make it? With over five decades of experience helping people to reach their weight loss goals, Weight Watchers is the first weight-management brand to launch a weekly subscription-based healthy food box service. It is available to both members and non-members (which I think is awesome), WW Smart Kitchen has been designed to simplify healthy eating (who doesn’t need that) and it guides people to make healthier food choices. 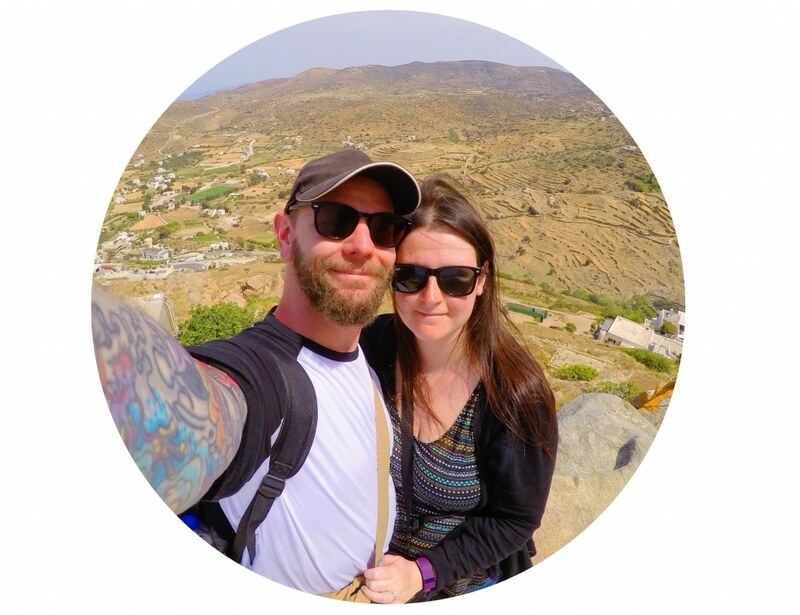 No foods are off limits with Weight Watchers, which is one of the main reasons why it worked for me, and the new service proves that cooking from scratch can be both convenient and simple. The fresh food boxes are in partnership with fresh food delivery company Bearfaced Groceries, Weight Watchers is working with top UK butchers and farmers to create boxes that contain the freshest and finest ingredients. The boxes are delivered straight to your door at a time that suits you. If you are following Weight Watchers, the all the recipe cards come with the SmartPoints values of all meals calculated by nutritionists to ensure that the service fits seamlessly into Weight Watchers flexible programme, whether you are a Weight Watchers member or just interested in healthy eating. 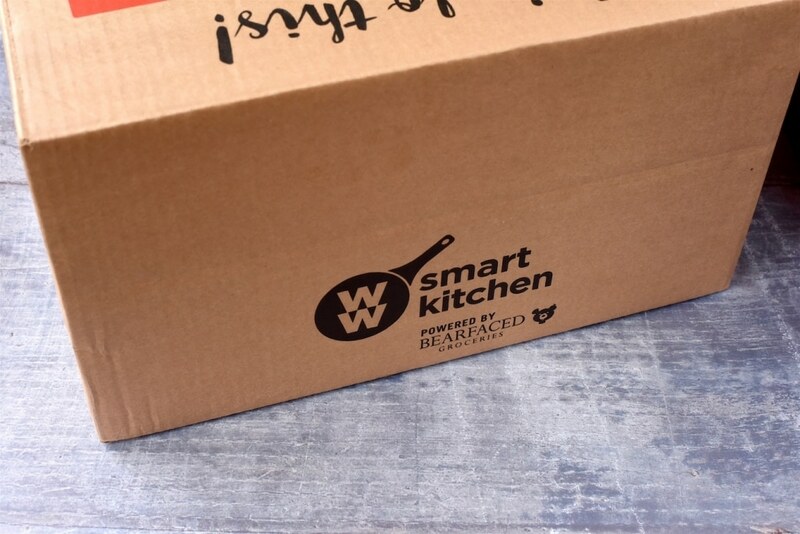 WW Vegetarian Smart Kitchen boxes are also available, with meals from £3.65 per person. Whilst we are food bloggers and our job is to come up with delicious and healthy recipes, we have a mental block sometimes just like the rest of you and these boxes are a great way to discover new healthy meals, that fit in to your plan, and you can keep the recipe cards to make your favourites over and over again. We found these boxes so helpful for when Avery was going through a fussy period the thought of coming up with something for dinner and going shopping for it after a day of screaming just didn’t sound ideal. We also tried the Bacon & Cabbage Pasta and the Roasted Broccoli with Bulgar Wheat & Cherries. Although you can’t request vegan boxes at the moment, the vegetarian meals we did get sent were easily adapted to be vegan and Dave enjoyed all the meaty recipes – not a single complaint there. Also, for this recipe there was the assumption that you already have a spiraliser, so it would have been good to have been sent the courgetti, which you can find in most supermarkets. These do have a little bit of a spicy kick to them, with the red chilli, but you can easily leave that out for people that don’t like spicy food, or if you are serving this up to kids. You know us though, the spicier the better in this house. 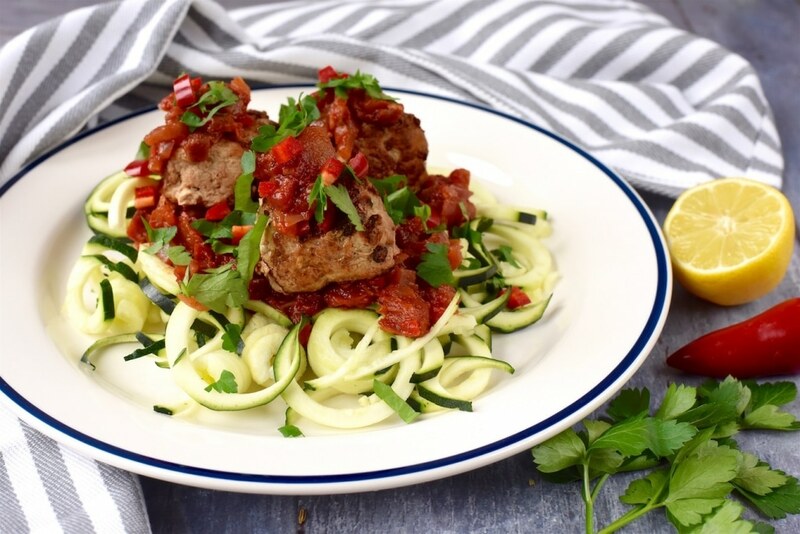 These Pork and Fennel Meatballs with Courgetti are a little bit different from the usually spaghetti and meatballs, but they are sure to be a hit with the whole family. Firstly, mix the pork, fennel seeds, lemon zest and egg. Form into 6 equal sized balls and refrigerate for 30 minutes. Mist a large pan with cooking spray. Add the onion, garlic and most of the chilli. Cook on a low heat for 10 minutes, or until soft. Add the tomatoes and balsamic vinegar and simmer until the sauce has thickened. Mist another large pan with cooking spray. Fry the meatballs over a medium heat for 8-10 minutes, until they are cooked through. Add the cooked meatballs to the sauce and simmer together for another couple of minutes. Cook the courgetti in boiling water for 3-4 minutes or until tender. Drain and divide between two bowls. Finally, top with the meatballs and sauce and garnish with the parsley and remaining chilli. *edit Apr 2018 – this service is no longer available. Made these tonight and they are GORGEOUS! The combination of flavours really works and my hubby loved it. Thanks! I am trying these soon. I love fennel seeds, the aroma they give to the food is amazing. This sounds like the absolute perfect menu item for my husband and I. We’re going to be watching our carbs for a while — (a vacation coming up) and it won’t feel like as much deprivation with meals like this! I am so loving fennel right now, it’s such a great addition to any dish! i made these from the ww no count book, omg i think they’re delicious. i’m really picky about pork but the fennel and tomatoes just make them gorgeous!! How fantastic is this?! I love that WW has a delivery service and this dish looks so good!